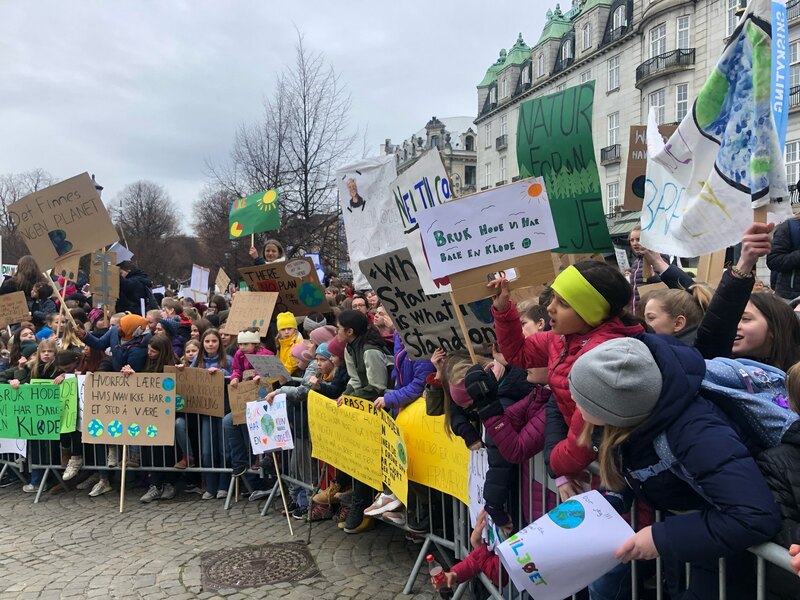 Norwegian school children on Friday took part in a nationwide walkout from classes to protest adult failures to come to grips with climate change and continued political inaction to address catastrophe that will be faced largely by their own generation. 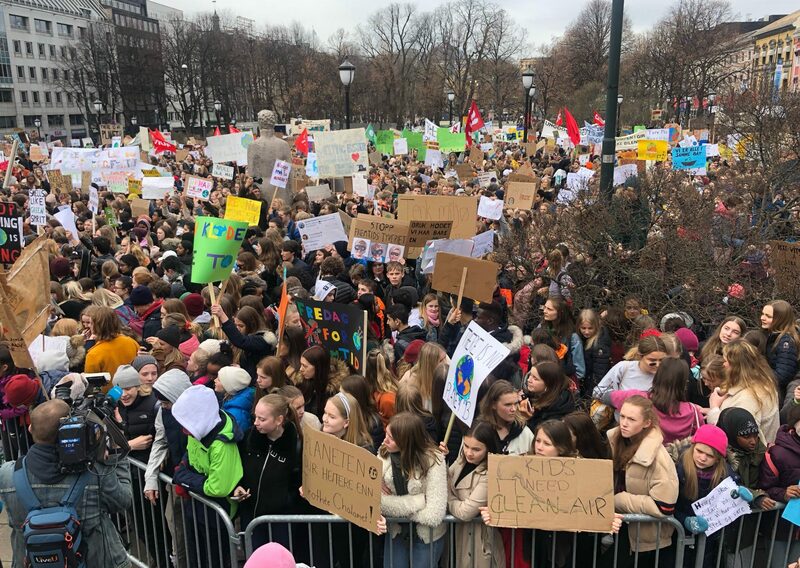 The class strike follows on a movement started by Greta Thunberg, a 16-year-old Swedish student who led a solo protest in front of Sweden’s parliament, refusing to go to school until lawmakers took aggressive action to confront the threat of global warming. Young environmental campaigners all over the world have embraced Thunberg’s actions, and earlier this month, some 1.4 million students more than 100 countries walked out of class, demanding that the political elite address what they say is a climate emergency. To the scorn of many adults, Thunberg promised to continue her solo strike each Friday until politicians began taking concrete steps to avert the worst of what climate change will bring. She has since been nominated for the Nobel Peace Prize. 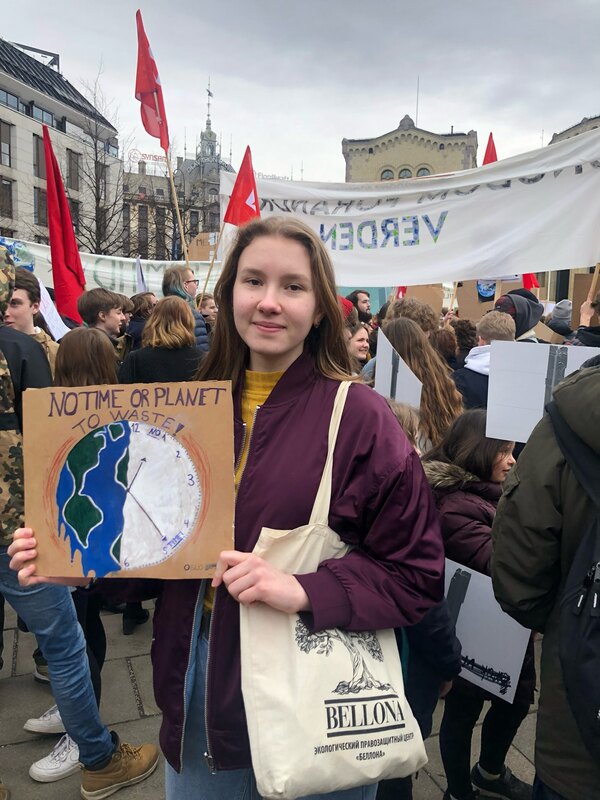 On Friday, Norwegian students joined Thunberg and their international compatriots by taking part in walkouts spanning from the capital city of Oslo to smaller cities like Tromsø, Trondheim and Hammerfest – and even tiny Kirkenes, well above the Arctic Circle. On Oslo’s streets, adults were in short supply, limited largely to parents and polite, smiling police officers. Norwegian teachers stayed in school and offered to continue classes for the rare student who elected not to participate in the walkouts. Michelle Koudrik, a 15-year-old student from Oslo confirmed the sentiment. “Politicians talk a lot about acting for the sake of future generations, but the problem is that they almost do not act,” Koudrik added. While education ministers in Australia and the UK have criticized the student walkouts, politicians in environmentally-conscious Norway were more encouraging. Ola Elvestuen, Norway’s Minister for Climate and the Environment, urged adults not to condescend to the movement Thunberg had started. “This teenage girl with a simple demand to save the planet has mobilized young as no politician, no environmental organization in the world has been able to,” he said in remarks at the Electric Planet summit in Oslo last week. Norwegian school children are the newest participants in the demonstrations. On Friday, March 15, children in locales as diverse as New York City and Kampala Uganda put down their schoolbooks to demand action on the climate. In Sydney, Australia about 30,000 children and young people marched from the Town Hall Square to Hyde Park. In Delhi, India, more than 200 children walked out of classes to protest against inaction on tackling climate change, and similar protests took place on a smaller scale in 30 towns and cities. “The favorite argument here in Sweden, and everywhere else, is that it doesn’t matter what we do because we are all too small to make a difference. [But] Friday was the biggest day of global climate action ever, according to 350.org,” she said. Frederic Hauge, Bellona’s president, publicly lauded Norway’s young climate protesters, and posted his “Apologies from a middle-aged white man” on the organization’s website during the demonstrations.